Fact is, people have known forever that most meetings are a waste of time. Like the weather, everyone talks about it; but no one does anything to fix it. Leaders who learn to be effective run effective meetings. They have learned to control their time. They use the discipline of effectiveness to curtail time wasters, like meetings, so they can work on their priorities. As Peter Drucker says in The Effective Executive, “Know your time”. So what does an effective meeting look like? how to fix. Or, they do not have the courage to try to fix it. This becomes the business opportunity for Coaches. 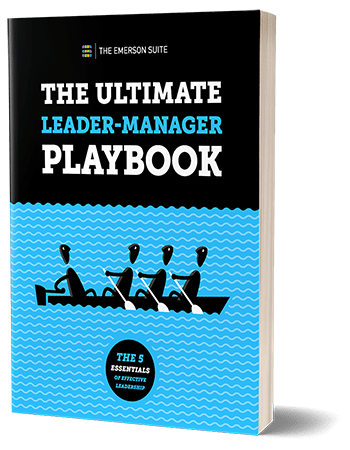 The Emerson Suite provides checklists and templates to help leaders take back control of time-suckers like wasteful meetings. This suite of proven methodologies and tools shows leaders the way to breach difficult subjects. Like how to let the boss know that another meeting is probably going to do more harm than good, and will likely waste thousands of dollars in unproductive company time. Effective leaders have the passion and courage to take actions that produce results. With The Emerson Suite’s Meeting Planning Template leaders take charge by first asking what is the purpose of the meeting? If there is no defined purpose, or its purpose is unclear, perhaps the meeting should be stopped before it starts. It then goes on to set the objectives for the meeting. And more. What are the specific deliverables that must be accomplished in the time allowed? Who should be there? And why (what is their role at the meeting?). Running effective meetings is a learned skill. The Emerson Suite helps leaders develop valuable skills that they can apply to their current job, future positions, in domestic or international companies, throughout their careers. And once learned, leaders wonder how they ever managed without it. A former CEO of one of the world’s strongest banks once told me that when you learn to run effective meetings, it is like someone has given you the gift of 20 percent more time each day. Time you could use to build a second company. Develop new products. Conquer new markets. Spend with your family. What would you do if you had 20 percent more time at your disposal? Take control of wasteful meetings and begin to enjoy the benefit of having time on your side.